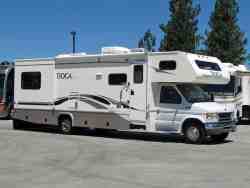 RV Maintenance: Now That You Have Been Using Your Class C Motorhome... How Do You Keep It In Tip Top Condition? A Better Way To Change Our Oil? 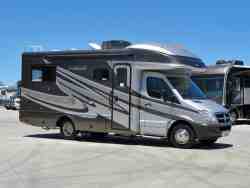 In our busy and hectic lives, it is an easy thing to overlook proper RV maintenance. Some of us work on a strict schedule that dictates when things get done. The other extreme would be the "Oh Yeah!" moment when our brain cells touch, and we go about checking out our various owner's manuals for maintenance schedules. 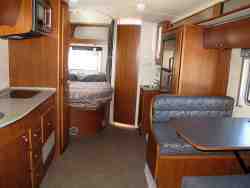 In the past few years motorhome maintenance issues have been greatly reduced by modern technology. As an example, there are now smart chips embedded inside the engine that can even tell you when an oil change is necessary. So even though the old standard of every three months and/or 3,000 miles per oil change is starting to go away, logic dictates that ALL oil certainly has a need to be replaced regularly. hopefully keep us in line. Whether or not our computers will tell us when to change our oil, we will still have questions about what type of oil to use, and we can even have questions about how often we change it. I know the above statement sounds confusing. Let me see if I can clear this up a bit. If you are using a standard natural petroleum product, you can do very well by going with the on-board computer's recommendation. However, things are not as clear on this subject if you like to use synthetic oil during your RV maintenance scheduled routine. With synthetic oil, it may be possible to extend your oil life by a considerable margin under the right conditions. Moving on... when was the last time you changed your fuel filter? I once had an old Chevy Blazer that I used to dink around off road with. I was young and not paying attention to stuff. I let my fuel filter gum up, and I got stranded up in the hills. The long and the short of it is, I ended having to rebuild my carburetor. Our big block V8s want and expect to get fuel. On a hot day, going up a grade, downshifting into a lower gear... the filter clogs! Not the way to start or enjoy your vacation. Of course, your transmission fluid also requires a change periodically. Check your owner's manual for the recommend change schedule. Do the same thing for chassis lubrication. In general, depending on how old your vehicle is and how many miles you put on it each year, you may need to have an engine tune-up performed. For most of us, this should not be a yearly RV maintenance concern. However, it does not hurt to look things over. As an example, check the serpentine belt for cracks or glazing. These are signs of a deteriorated belt. Broken belts on a tough grade during the hot part of the day can spell disaster for your engine. It is much easier to have this attended to during the slow end of season cycle. it is a good time to consider what RV maintenance is necessary in order to be ready for next year's adventures. Deciding on where you winter your Class C Motorhome will determine, in a large part, what type of RV maintenance will be required. What Kind Of Winterization Will You Have To Perform? If you are in extreme cold country, then making sure that pipes do not freeze and burst open is a high priority. But, even in the best of climates, you can still have issues when leaving your coach unattended for months at a time. It may be that you will want to use your coach during these cold winter months. You may want to go south for the winter... or maybe stay in snow country and cross country ski. Either way, there will be routine RV maintenance chores that will need attention. My thinking is the fall is a good time to do this stuff. There are many things to consider and think about. Depending on where you are and what you may be doing, it is probable that you could use a room dehumidifier. It is always important to control unwanted condensation in your class c motor homes, and simply leaving a window cracked open is not always the best solution. During the winter months and depending on your location during the summer vacation season, you will need to keep unwanted condensation under control. Choosing a dehumidifier that best suits your needs requires some research... it is important to understand the terms used to describe a room dehumidifier. As usual, it pays to know all you can about how you are spending your hard earned bucks. RV maintenance can be a daily event. We should always be thinking about, "what is best for my rig". It's also a good idea to keep your Class C Motorhome tires off the ground. Park you rig on asphalt, concrete, or up on wood. You do not want to park and store your rig directly on the dirt for extended periods. If you decide to put the rig on jacks, this will suspend everything and take a load off your suspension. I'm not advocating this action necessarily. However, some people do like to bring their tires into a more protected environment. In fact, this would be a good time to inspect your tires for unusual wear patterns. Of course, you do not want to forget about your battery systems and the motor-generator (gen-set). Look at your operating manual for your gen-set to see how often it should be exercised during the winter months. The biggest cause of mechanical failure is neglect. They like to be run. Also, if you are going to snow country, you may need to adjust and compensate for the altitude differential. High altitude can cause these things to run lean and burn up. Well, they don't actually burn, but they will run hot and dramatically shorten their lifespan. You will also want to change the oil in your gen-set. All of this information is in the gen-set operating manual. Your refrigerator should be cleaned out and turned off with the door left open. If you keep the door closed, you could develop a mold problem. 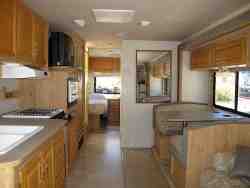 RV maintenance should also include a quick look at your Class C Motorhome roof. There are a bunch of EPDM roofs out there. They require regular cleaning and inspection. TPO and fiberglass are generally more forgiving, but it is a good idea to inspect them per your manufacturer's instructions. While you are up there, look over your air conditioner. The drive shaft may need oil. Just refer to your operating manual for the specifics for your unit. This should just about do it. You do, however, want to check all of your other fluids and put new batteries in the various alarms... smoke and/or carbon monoxide detectors. I'm thinking that it is a good rule of thumb to change these batteries twice a year on the day light savings time schedule. None of this is really time consuming... just make a list and spend a nice balmy Saturday afternoon going through stuff. It will give you great piece of mind over the winter season.